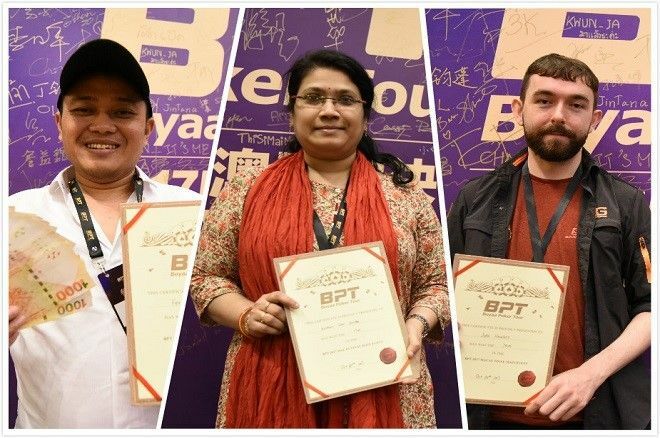 Entering Day 2 of the Boyaa Poker Tour (BPT) Macau Final, 352 participants from all over the world were left competing for HK$6,705,000 in prizes. With the top 200 players earning cash rewards and play chip rewards going to the top 300, a lot was on the line for the players on Day 2. When the day ended after nine levels of action, only 64 players still had chips, meaning 236 participants got chip rewards and 136 participants got a cash prize. 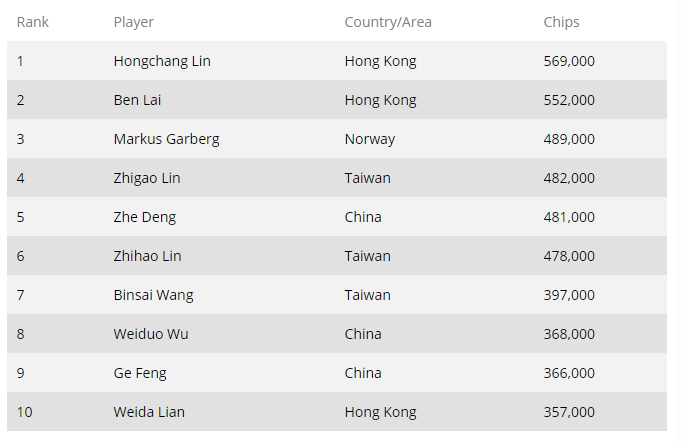 Moreover, all top 200 finishers will get points for the GPI (Global Poker Index). Hongchang Lin, from Hong Kong, is the chip leader with 569,000 going into Day 3, the final day of the tournament. Let’s take a look at the top 10 players who advanced. In addition to the Main Event, three other fun side events with cash prizes are here to satisfy all tastes: a 20K High Roller, a no-limit hold'em tournament, and a super fun Bubble Rush event. Stay tuned for a final recap of all the action from Day 3, including the winner from the record-setting BPT Macau Final! For more information, please refer to the Boyaa Poker Tour website or visit Facebook and search "Boyaa Poker Tour." Copyright @ 2004-2019 Boyaa Interactive& Texas Holdem All rights Reserved.